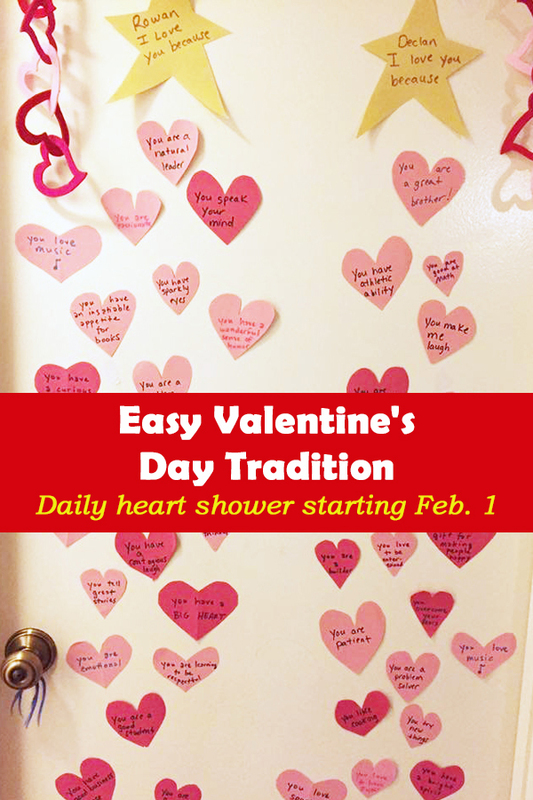 We love this easy Valentine’s Day tradition – a daily heart shower! 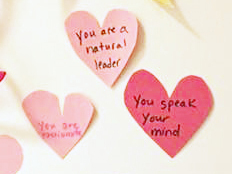 During the month of February we love to shower our kids with this fun and thoughtful activity that challenges us to think of a new encouraging thing to write for each child each day. 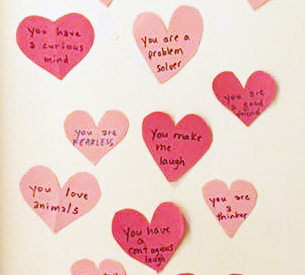 Kids can get involved too by making their own hearts and sharing them with their siblings and parents. 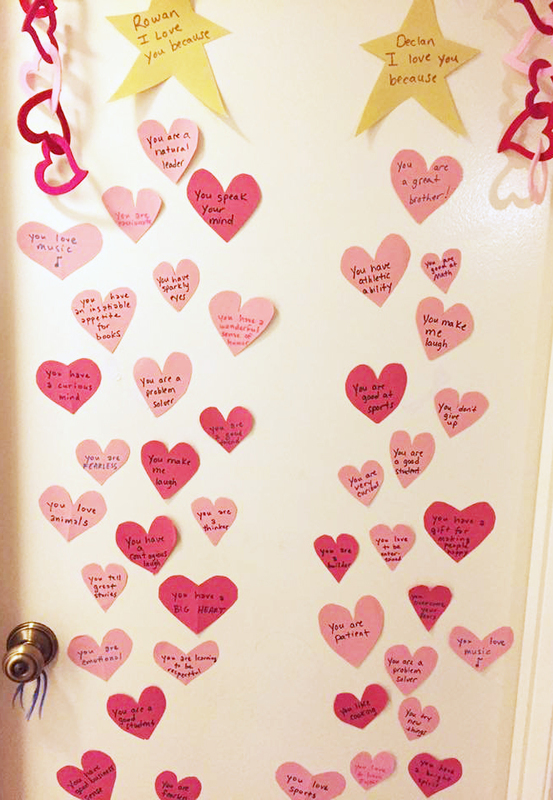 And if you add the daily notes to their door while they are sleeping, you’ll be amazed by how quickly they hop out of bed each morning to see their new love note! Start by gathering your supplies. Cut out your hearts and on each heart, write a reason why your child is amazing. We’ve learned that it makes it easier to post the hearts each night if we cut them out and write them all out at the same time. Think about the special, unique things about your child. There are so many “voices” in this world telling our kids they don’t measure up. Behind every young child who believes in herself, is a parent who believed in her first. 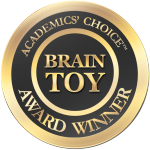 Let’s go on the offensive and help our girls and boys see how truly wonderful they are! Then, starting February 1, tape one (or two!) heart(s) to their door each night leading up to Valentine’s Day. Check out more Valentine’s Day activities and traditions here. 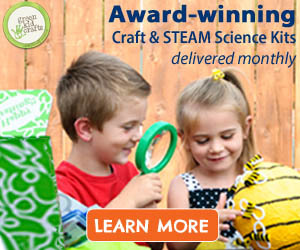 Find more projects like this on our Pinterest page!